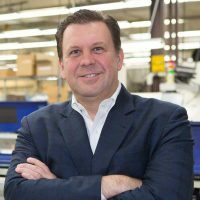 PESA Advisory Board Member Mike Waters, President & CEO, SOR Controls Group, has been elected to the board of directors for the Measurement, Control & Automation Association (MCAA) for 2018. Waters will serve as Vice Chairman. Waters joined SOR Controls Group Ltd as President & CEO in April 2012. Prior to joining SOR, he served in several senior leadership positions at CIRCOR International from 2006 to 2012, including Vice President & General Manager of Sagebrush Pipeline Equipment and Pipeline Engineering. Prior to CIRCOR, Waters was President of Flow-Zone, LLC, a Texas-based oilfield supply and automation company. Waters began his career with Emerson Electric Corp. as part of the Rosemount Measurement & Control organization. He holds a Bachelor of Science in Industrial Distribution from Texas A&M University, and a Master of Business Administration in Finance from the University of St. Thomas in Houston, TX. He was first elected to the MCAA Board in 2016.